As a “decrypting” solution for this comes the almighty Reference Language feature. 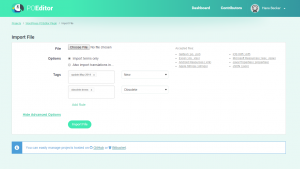 A Reference Language helps contributors with their translation work by letting them see, above each original term (which is a label), a term in another language existing in the project. 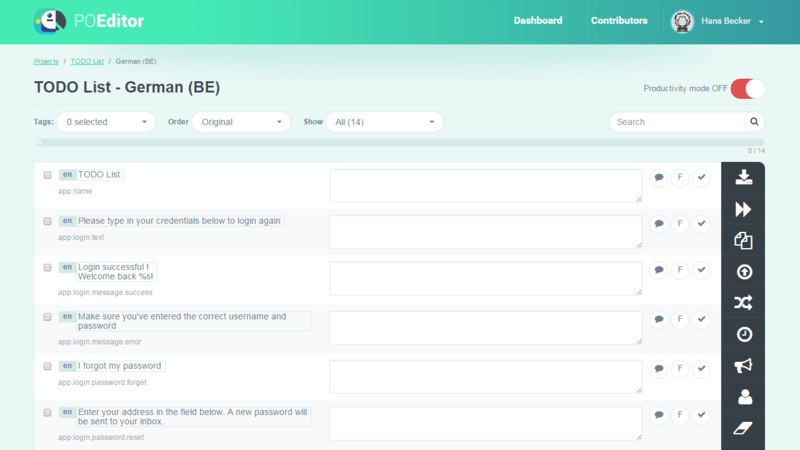 First of all, after creating the project, a project owner (or an administrator) needs to create a language that corresponds to one that’s already in the user’s software. 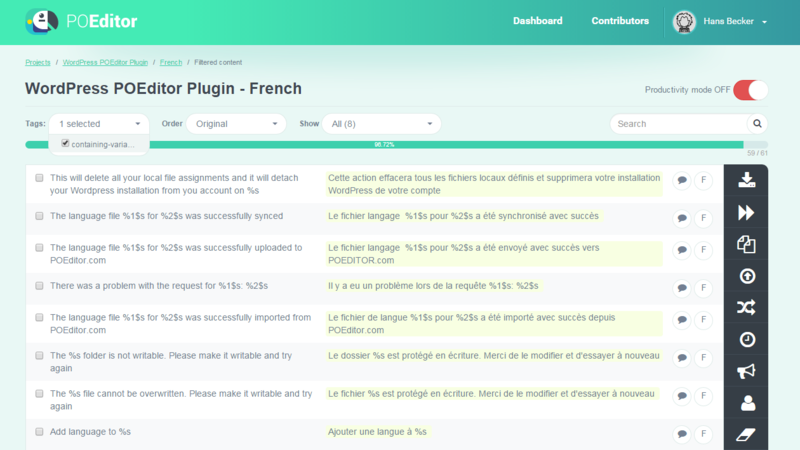 Then it’s time to import into the project both the terms (labels) and the translations in the created language. 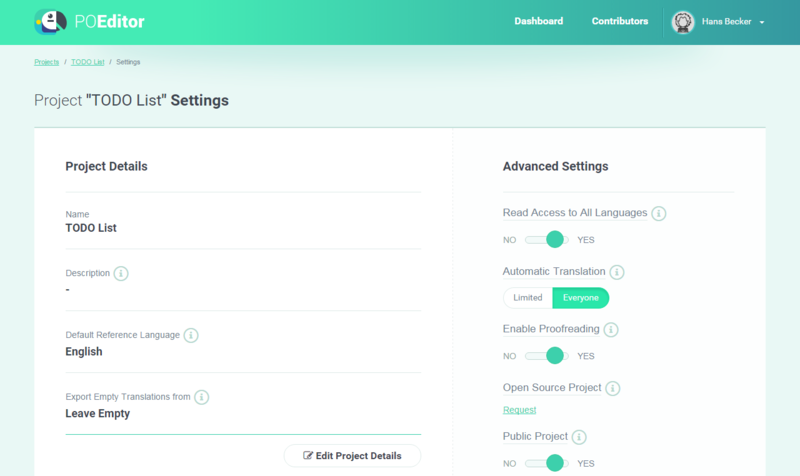 The project owner or the administrator can set a Default Reference Language for everyone from Project Settings > Edit Project Details, or they can grant contributors with Read Access to All Languages so they can choose their own Reference Language (which will override de Default Reference Language, if one is set). 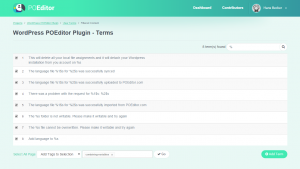 As previously mentioned, contributors can set their own Reference Language. 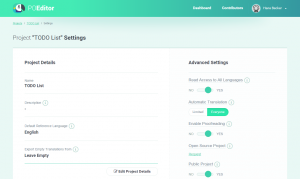 Once they have Read Access to All Languages, all they need to do is to click in the language page on the Set Reference Language button in the right-hand Options Menu and pick their preferred language from the project. 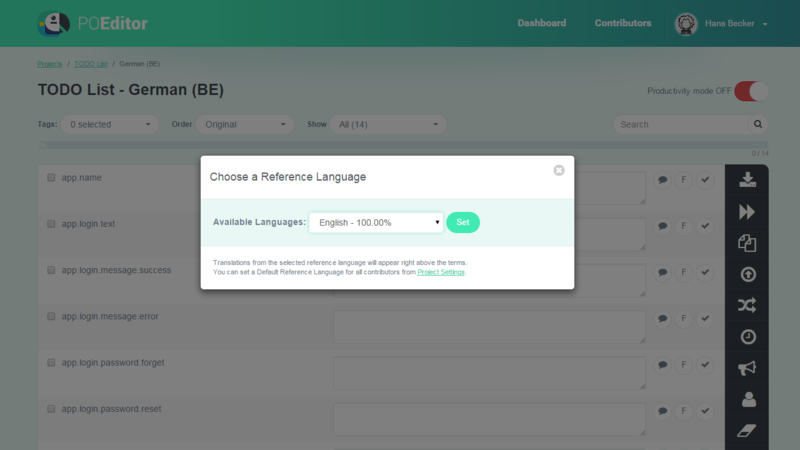 In the end, after choosing a Reference Language or a Default Reference Language, language pages will show the terms something like in this picture on the right. As a final observation, note that you should be careful with the Automatic Translation feature while working on projects containing labels. You will want to make sure that you select as source language anything but the project terms. There you have it! 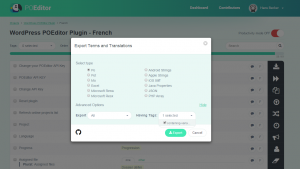 Now that you know about Reference Language, translating apps with POEditor should be as easy as pie! When you want to manage localization projects with similar translations in the same POEditor translation project. When translating terms from several platforms within the same project. With tags, you can keep track of each platform’s set of terms so you can export them accordingly when the translations are ready. When having different versions of the same terms within a project. 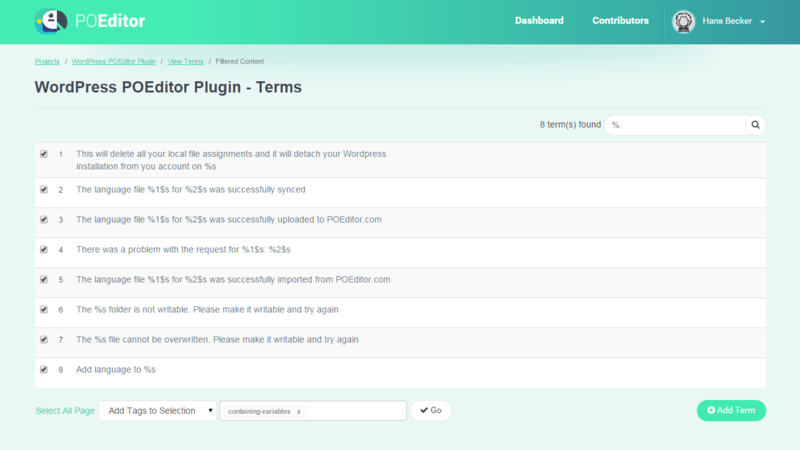 Tags will help you follow each version, to translate them selectively and export them as such. While on a project page, go to Import Terms > Advanced Options. After selecting a language file, you can add tags for the terms to be imported. You can add tags to all the terms in the file, to the new terms (which are in the file to be imported and not in the project), or to the obsolete ones (which are in the project but not in the file to be imported). While on a project page, go to View or Add terms and select the terms you want to tag by checking the boxes on their left. In the dropdown menu at the bottom of the page, choose Add Tags to Selection and write the name of the tag in the box next to the menu. You can use an already existing tag or add a new one. 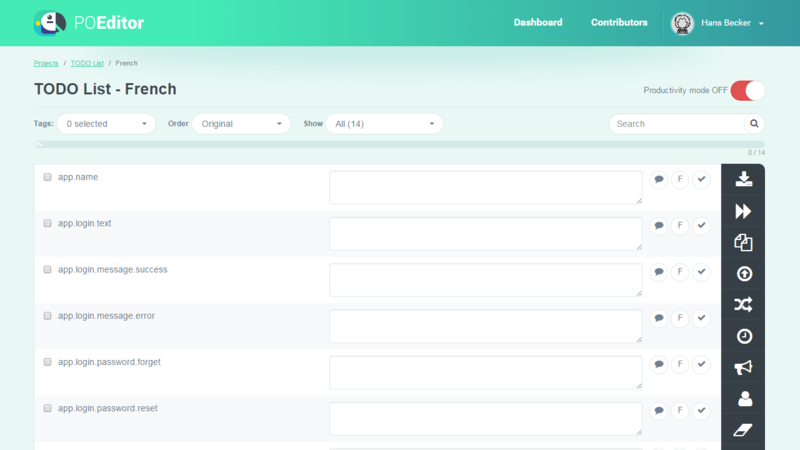 To clearly view all the terms in a certain category on a language page, just select the desired tag from the top left drop-down menu and have your set of terms exclusively displayed. 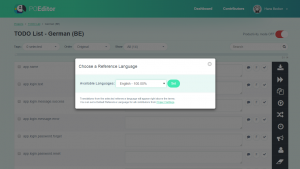 While on a language page, click on Export > Advanced Options and select the filters you want to apply for export. The result will be a file containing only the pairs of terms and translations which have been tagged with the selected tag(s). 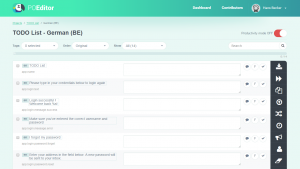 We have seen tags used in many creative ways by our users, so by no means should you limit yourselves to the examples given in this article. 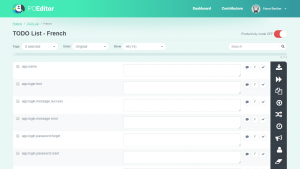 Whether you want to sort your terms by date, platform or anything else, using tags will help you neatly organize your sets of terms for a smooth localization process. 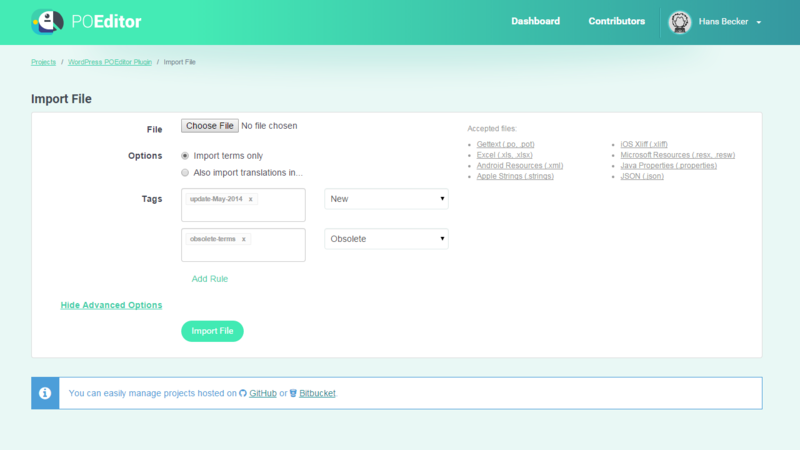 Update February 2015: On import, if you choose to overwrite the translations, you now have available the option of tagging the terms which have had their translations modified.